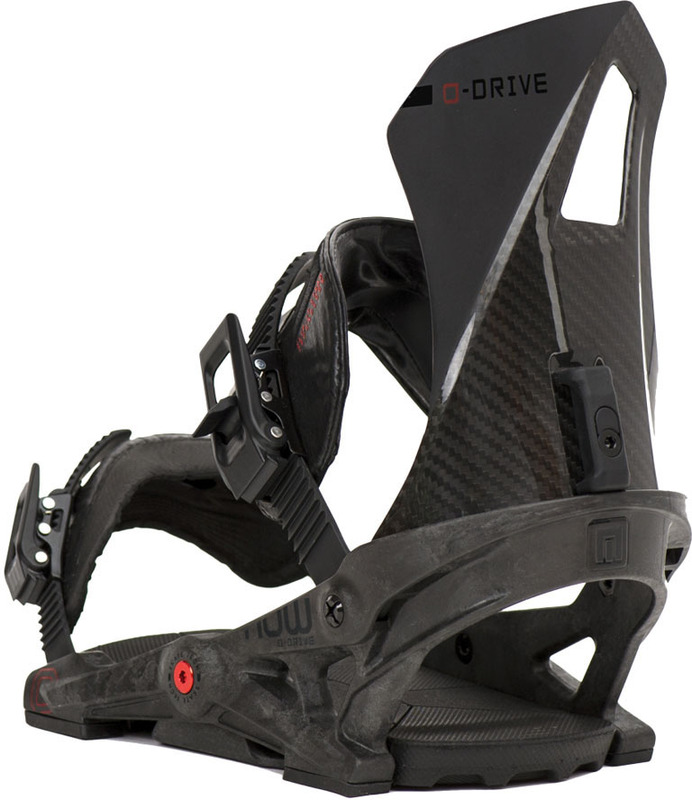 The NOW O-Drive is the Drive with a little bit more mustard….in the form of lighter carbon It’s got a little more snap out of the high back and a bit more response. We found we like this binding best with the stiffest stoppers. Flex: Yeah this is stiff and snappy. Adjustability: As said on the vid we are hoping that the production model has a high back that you can rotate and not an Allen Wrench for the high back. Turns out it doesn’t allow you to rotate it and it’s set at a unchangeable 10 degrees. Comfort: The tight heel cup is hit or miss but everything else about the binding is comfortable from toe strap to the high back. Turn Initiation: So with the stiffest stoppers on which make a lot of sense for a stiff binding, you get pretty good response. The minimal contact with the board really helps the board turn edge to edge in a kind of unique way. The softer stoppers slow the response. For most people, all you will need is the stiff stoppers. Buttering: With softer stoppers in you could put these bindings on a softer board and butter but with the stiffer stoppers it doesn’t butter as well. The heel loop really locks you in so it feels awkward to butter. Boot Support: The tight heel cup locks you in from the back and usually the ankle strap has the predominant grip. 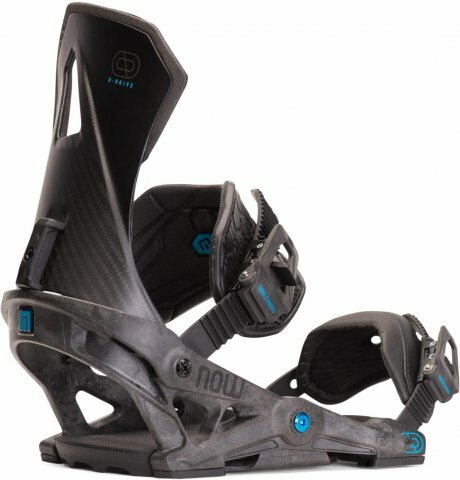 With the O-Drive you get a really locked in boot as well as reduced heel lift which bindings usually don’t really help you accomplish. So that’s a perfect choice for someone who is constantly battling heel lift but if you have your boots dialed like we do then it can be a little uncomfortable at times. I’d rather see a wider heel cup and then an attachment you put in that narrows the heel loop for no backing. Ratchet System: Nothing noticeable that’s bad or good. It works. 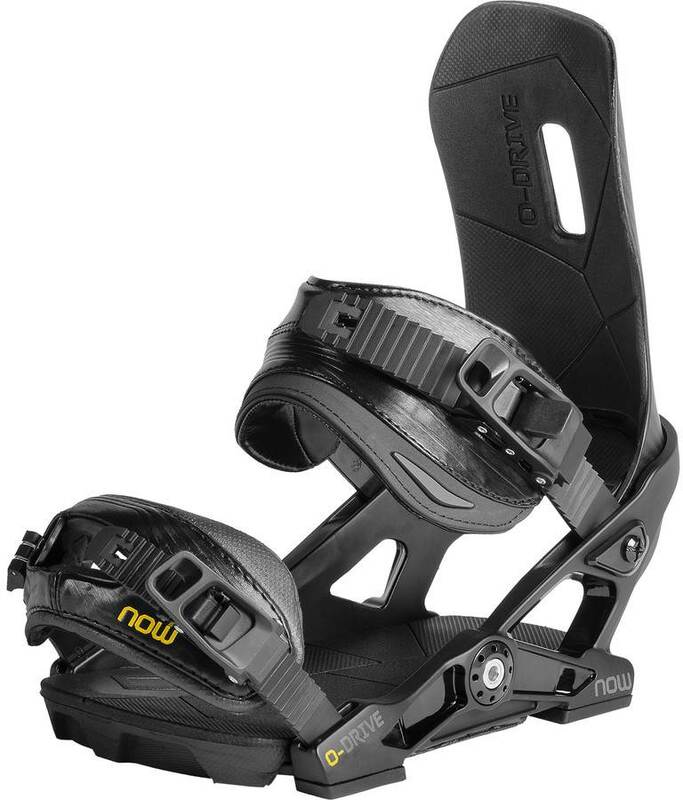 Shock Absorption: One of the best qualities of all the NOW Bindings. It’s got minimal contact with the board and rubber contact at all the corners. On top of that is a soft cushy footbed across the whole binding that makes boards you ride better at busting chunder and more damp at speed. We try to get as many images of the NOW O-Drive, but forgive us if they're not all there.